Backup is a necessary evil. At SysGuard, our goal is to get rid of the evil part of backup. The first step in that process is to find out the pain points of traditional backup. Backup schedules: Traditionally, a backup is a scheduled process that runs at fixed intervals. In case of a failure, the data updates since the last backup are lost. The recovery point objective (RPO) is weaker with traditional backup. Backup slots: Traditional backup processes are resource heavy. Also, the server application needs to be quiesced to get a consistent backup image. This implies that the regular server activity cannot continue during backup. Hence, backup is scheduled to run during a time slot when the regular application activity is not present or is present at a lower scale. As the amount of data and the time to backup grows, it becomes harder to find time slots for scheduling backup. The increase in the number of business hours also puts additional pressure on the backup slots. User interface: Traditional backup interface is complex due to the concepts of full/incremental backups and schedules. Due to the user interface complexity, it becomes harder to let the end user control the backup process. Typically, the administrator configures the backup for end users’ desktops and laptops. The configuration remains static and cannot easily adapt to dynamic data layout. Instead, the end user is asked to arrange his or her data to suit the backup configuration. Backup media: Traditional backup is performed on media like magnetic tapes or optical disks. Complete automation (using robotic media libraries) of the backup process is too costly. In absence of an automated process, an administrative attention is required to manage the backup media. Maintaining the backup media also requires administrative effort. The restore operation also requires administrative attention because the right backup media needs to be loaded. Special hardware: Traditional backup is performed using media like magnetic tapes that require special hardware like tape drives. Special hardware means additional procurement and maintenance cost. 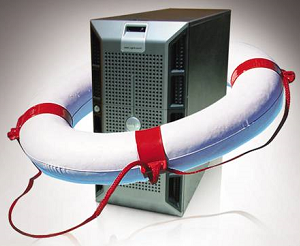 Restore operation: With traditional backup, an end user cannot restore her files by herself. Typically, a service request is sent to the administrator, thus increasing the time taken for restore. The recovery time objective (RTO) is weaker with traditional backup. Recovery Point Objective (RPO) and Recovery Time Objective (RTO) are two of the most important parameters of a disaster recovery or data protection plan. 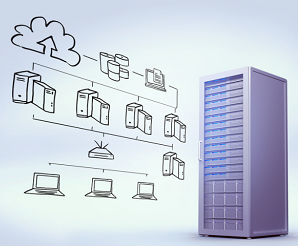 These are objectives which can guide enterprises to choose an optimal data backup plan. The RPO/RTO, along with a business impact analysis, provides the basis for identifying and analyzing viable strategies for inclusion in the business continuity plan. Viable strategy options include any which would enable resumption of a business process in a time frame at or near the RPO/RTO. 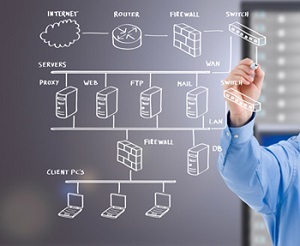 Traditional Backups: In traditional tape backups, if your backup plan takes 2 hours for a scheduled backup at 0600 hours and 1800 hours, then a primary site failure at 1400 hours would leave you with an option to restore from 0600 hours backup, which means RPA of 8 hours and 2 hours RTA. Continuous Replication: Replication provides higher RPO guarantees as the target system contains the mirrored image of the source. The RPA values depend upon how fast the changes are applied and if the replication is synchronous or asynchronous. RPO is dependent on how soon can the data on target/replicated site be made available to the application. 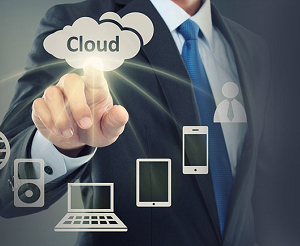 Our Backup Solutions for physical and virtual servers brings together backup, disaster recovery, and archival in the cloud, removing the burden of legacy infrastructure and significantly lowering TCO. 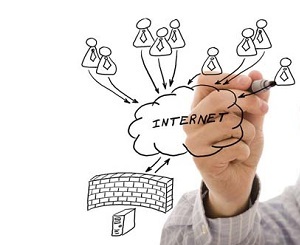 It simplifies the process by enabling managers to back up straight to a secure cloud environment. It also mitigates the difficulty of managing mixed environments from a central location, as many times remote agency sites lack the tools to protect their data.